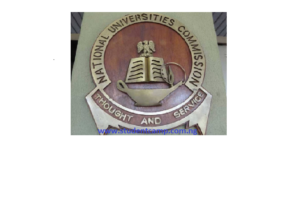 The National Universities commission (NUC) has discovered that there are universities in Nigeria that are running postgraduate programme without the the licence to do so, the NUC stands as the only commission to approve institutions in Nigeria, so any institution acting outside their licence is considered unapproved. Also NUC has also observed that some Parastatals and Institutes are awarding these same Postgraduate degrees, either on their own or through unapproved affiliations with Nigerian and foreign Universities. Such practices are not only unethical, but also antithetical to time-tested quality assurance best practices. The qualifications/awards resulting therefore are not recognized. 9. National Open University of Nigeria, Lagos. 15. Lagos State University, Ojo. Please click on Facebook like buttons to share this news with your friends.